Some of our group started out as the Georgia Outdoor Painters, beginning with a small group of artists who wanted to "go paint". 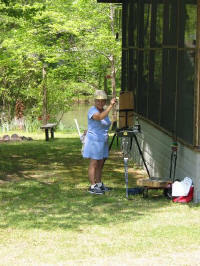 In January of 2006, a group met who wanted to paint plein air! could paint independently and get along with almost everyone, who were willing to travel and share expenses and be a part of small intimate groups. Some of the group have moved out of our Southeastern region making it virtually impossible to paint together on a regular basis. As time went by, other artists became interested in what we started and have some new ideas... so we met, painted together a couple of times, and decided to change the name and some key mission ideas. Our purpose: to share travel to new locations, workshops, outings, and mentoring one another as outdoor artists. 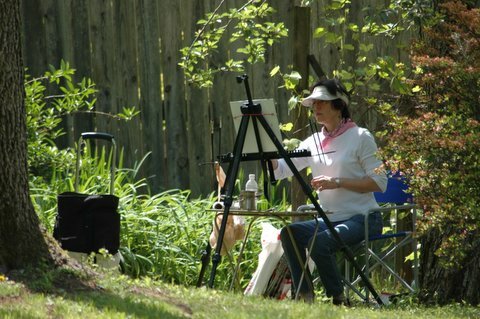 Time spent together creates a bond of friendship as well as painting partners to call on for sharing a day or a weekend of plein air paintings. 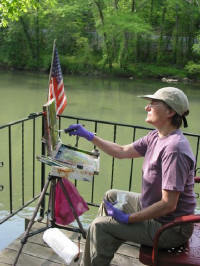 This site is a resource for other outdoor painters, both in visual and written reviews from artists. We'd also like to give you the opportunity to share unique places that you've found in Georgia, and other places, along with news of plein air events, or any other information that you feel would be helpful to groups or individual outdoor painters. Let other Georgia artists know where to find great painting locations! !